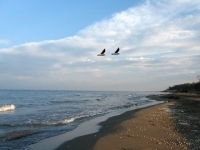 Caspian Sea is an unusual sea – it’s very difficult to find one similar. It’s the world’s largest basin detached from the World Ocean and it’s the only sea in the world where a river flows out of. Its inhabitants – birds and animals also look unusual. Some of them can not be found anywhere else on the planet. First of all they are Caspian seal, salmon and inconnu. The real Caspian Sea’s pride is sturgeon. This place was very famous for it from time immemorial. Nowadays Caspian Sea countries, including Turkmenistan, are making efforts to preserve its population. There’re over 400 types of birds in this area. That’s why Khazar Reserve is often called ornithological reserve. Turkmen coastline of the Caspian Sea is a large crossing on the ways of passage and migration of birds. It’s like a place that is gathering birds from far-away northern countries and hot tropics together. Here you can see snow-white swans, diving-ducks, coots, pelicans and other birds. 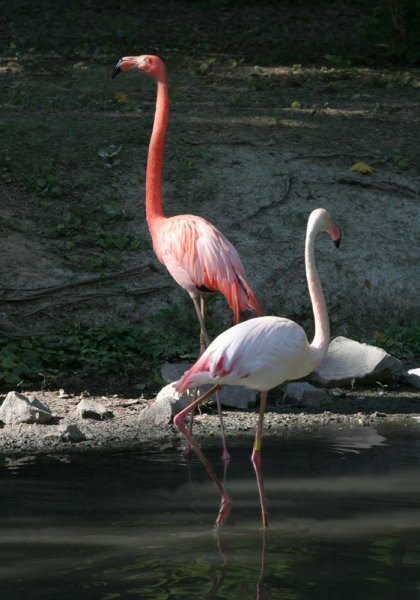 On shallows not far from the resort zone tourist often see beautiful flamingoes. For the last years tourists are very interested in visiting this part of Turkmenistan. It’s the best place for developing eco-tourism and people who like “quiet hunting”. Tourists from different countries come here to observe wildlife in natural conditions, make beautiful photos and to have good rest. And Avasa is inviting tourists, travelers and hunters from all over the world for unforgettable impressions.